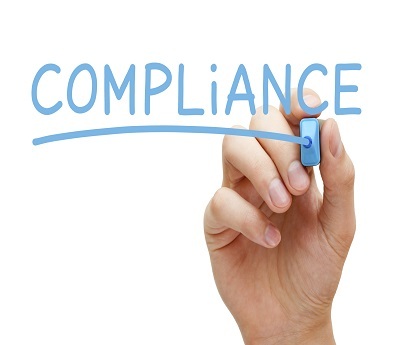 If your company operates in a regulated industry (e.g. financial services, telecoms or utilities), you of course need to ensure data security and legal compliance. But regulators now also focus on quality of customer service when scoring and benchmarking businesses. So who decides what good quality looks like?We regularly come across companies who are angry because competitors submit customer satisfaction data that either has no statistical significance, or statistics that have nothing to do with what customers actually value. Regulators have also previously been guilty of scoring companies on irrelevant metrics, but are growing more competent and better at spotting companies providing flimsy evidence. Don’t just tell regulators you are delivering quality: prove it! Step 1. Make sure you have a robust sample of customer feedback at advisor level (say 20 surveys per advisor per month) in order to significantly outdo competitors on volume. But even more important is to automatically feedback these results to your staff. This demonstrates a self-correcting environment and proves you have put an accountable customer satisfaction solution in place. Step 2. Find out what actually drives customer satisfaction. Do simple correlation analysis, for example comparing C-SAT or NPS scores with how the same customers scored speed of response, staff engagement, knowledge etc. Again, this demonstrates to regulators that you are making an effort to understand what matters to your customers. Complement cores statistics with verbatim analysis to identify specific gripes that you haven’t asked about in your questions, as well as highlight negative feedback about departments outside of the contact centre. Step 3. Include reliable external benchmarking in your report. This will provide an objective measure of the service you provide and show you are not just expecting the regulator to rely on purely internal measures. Step 4. Set up automated alerts that warn you instantly of low scores or customers mentioning words such as leaving, ombudsman, and complaint. Enabling you to act on dissatisfaction before it escalates. Put in place a more balanced way of incentivising. Regulators have no problem with you keeping an eye on productivity, as long as it is balanced with the interests of the customer. Try juxtaposing efficiency measures (such as AHT) with customer-focused metrics (such as product knowledge) at an individual agent level to help identify which agents to reward for which behaviours. In the example below, it is clear that Mary is doing something very different to Bob and costing half as much, yet delivering twice as high C-SAT. How can we replicate the Marys and bring the Bobs up to her level? While you might be considering a Voice of the Customer programme in order to strengthen your regulatory compliance, these programmes have a number of other benefits too. Many companies overlook the huge impact customer satisfaction measurement can have as an operational tool. Making sure feedback comes full circle to the department that generated the experience can result in 20-30% more satisfied customers, which in turn has a significant affect on sales and customer retention – and ultimately impacts the company’s market position. This type of programme also helps your managers and team leaders focus on the staff needing the most help, optimising their coaching time. The below graph shows a simple analysis of the correlation between staff engagement and customer loyalty, detailing which individual staff members are engaged and driving loyalty. Whatever your motivation for employing a strategic customer satisfaction tool, the benefits of listening to (and taking action on) customer feedback couldn’t be clearer. Next Next post: Would you pay 40p to retain a customer?